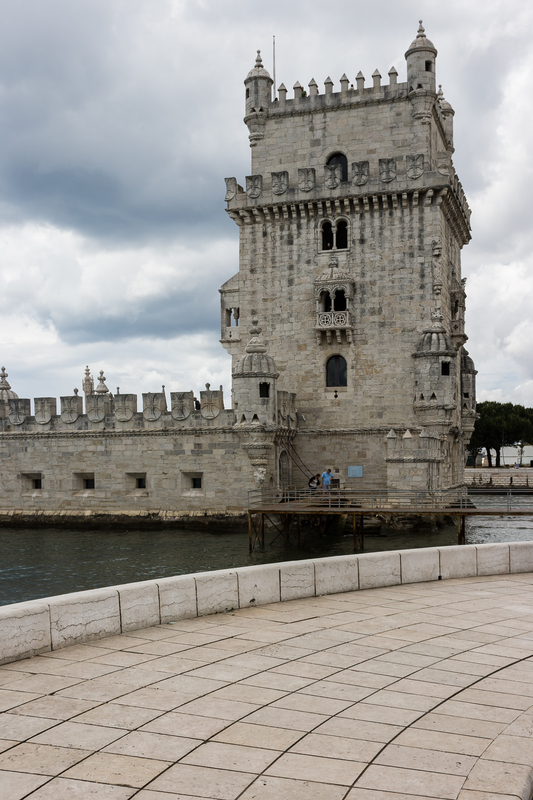 We explored Lisbon’s historical Belem district one day during our stay in Portugal in 2010 and toured the Belem Tower (Torre de Belem), a 16th century fort on the Tagus River not far from the Discoveries Monument. It is also known as the Tower of St Vincent. 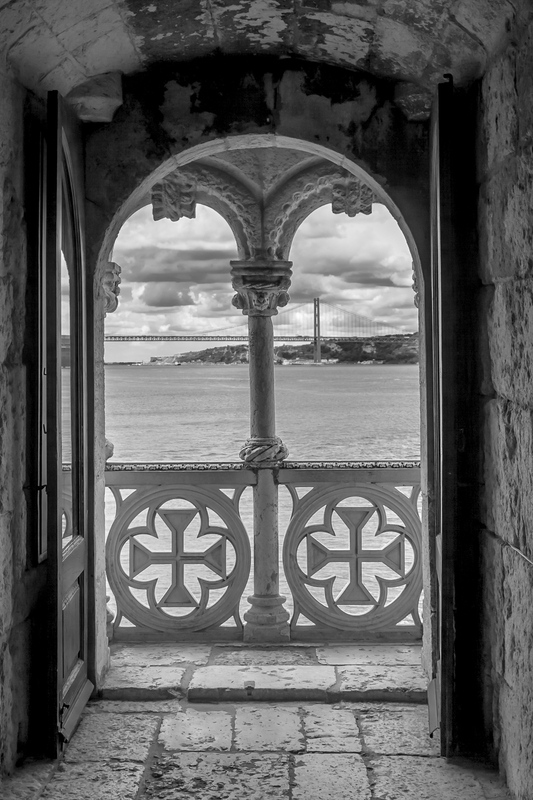 My entry for this week’s Monochrome Madness Challenge is a shot I took inside the tower of the view up the Rio Tejo. The view from a balcony inside the Tower of Belem. The bridge in the background is the 25th of April Bridge (Ponte 25 de Abril), built in 1966 but renamed in 1974 after the Carnation Revolution that ended Portugal’s authoritarian regime. The bridge resembles San Francisco’s Golden Gate Bridge but was built by the company that built the San Francisco Bay Bridge. Here’s a shot of the tower’s exterior. Can you find the balcony from which I took the first photo? The Tower of Belem (Torre de Belem) on the Tagus River (Rio Tejo). Australian photographer Leanne Cole hosts the weekly Monochrome Madness Challenge. Drop by her website on Wednesdays (Tuesdays in Europe and North America) to see what Leanne and other photographers from all over the world are doing in monochrome these days. This entry was posted in Architecture, Portugal, Travel and tagged 25th of April Bridge, Belem Tower, Carnation Revolution, Leanne Cole, Lisbon, Monochrome Madness Challenge, photography, Tagus River, travel, travel photography. Bookmark the permalink. This is truly a remarkable monochrome photo with an extraordinary perspective! I agree with Peter. Beautifully captured! Thanks, kz! How’s your math teaching going? I can’t believe you remembered that! Very good, thank you. Always something new going on and, like photography, a new angle from which to look at things. I love the framing in the first image. For a nano second I was thinking it was the GGB and wondered where in the world this tower was and how was I not familiar with it! 🙂 Then it hit me it was from one of your world travel adventures. It’s uncanny how alike the two bridges are! Yes, we did! We have now been to Portugal twice and Spain three times. We like the people, the scenery and the history.